Travel Write Draw: Not the End. Just the Beginning. People often ask me what it feels like now to be living the dream, in other words, what it feels like to be working as a full-time fashion illustrator. And to be honest, I really don't know how to answer. I'm not sure if it's because I don't want to disappoint them, or if I'm more scared to disappoint myself. Because guess what, living the dream is not actually a dream, it is hard f**king work. I never thought I would have to worry so much, about so many different things, all at the same time. It's been 11 months since I quit my corporate job in New York and since then I have had the craziest year of my life. When I got to be a Suggested User on Instagram in September 2014, I was literally catapulted from an up-and-coming illustrator with 8,000 followers, to a whopping 145,000 followers in 3 weeks. Then came the great Instagram purge of 2014, that shaved off 24,000 followers, and I've been steadily growing my following back ever since. But nothing could have prepared me for what lied ahead. I never dreamed that a single app would play such an important roll in my daily life, to the point that it often feels like my life. I never anticipated the highs and lows that come from followers and regramming and likes and comments and...you get the gist. I often wonder, for better or worse, where I would be had I not gotten featured. But life is a series of sliding doors isn't it and that is one answer I will never really know. And before I go any further, let me preface the remainder of this post with: I'm incredibly grateful for every opportunity I have had so far. I have seen so many of my greatest goals realized in under 12 months to the point that this year sometimes doesn't feel real. But I would be doing myself, and all of you, a big disservice to pretend like running your own business isn't batshit crazy. Sometimes it's hard to order food because the thought of making one more decision for myself puts me over the edge. And here's the thing, a year ago today I thought I was FINALLY reaching the finish line!!!! At long last, after 5 years in New York as a legal-resident from Canada, I was leaving corporate America behind, the worries of having my O-1 Visa tied to another employer, having my time, fate, and life in someone else's hands. 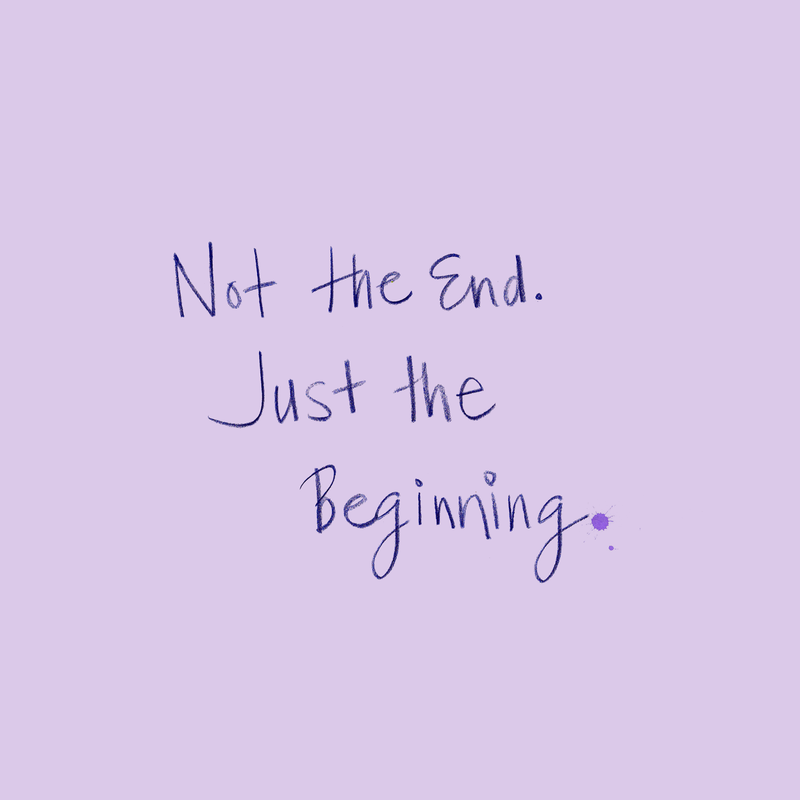 But I was wrong; it wasn't the end, it was just the beginning. And therein lies the issue. I went from hopping through burning hoops of fire just to stay in this damn country without realizing that the greatest challenge of all was yet to come. There is no manual for running your own business, ok maybe there are a few, but there are certainly no manuals for illustrators on how to be successful brands and social media influencers. It's the wild west out there people. What is happening around us right now has never before existed. Artists have never had more access and ability to be so well known, so quickly, as they do today. But that comes with a price I assure you. A business built around insta fame is a scary business indeed. So what is the point of this rant you might wonder?! Well the point is to keep it real. I'm learning as I go just as much as anyone else. I don't have all the answers but I hope that for any of you starting off out there, that you know to be kind and patient with yourself. You can only really learn by experience, even if it's someone else's experience. There is so much that goes on behind the scenes here that doesn't always make sense to show in a beautiful instagram post. This is my chance to connect with you all as your friend and in some cases as a mentor. And you know what?! When I finally accepted that I'm only now at the beginning of the journey I want to be on, I felt a million times less overwhelmed and defeated. Because truthfully after 5 years in NYC of beating down walls, and going into your first year of business beating down more walls, you start to wonder when does the beating end and the enjoying begin? I'm determined that it starts today. And wherever I go from here, I hope you will come with me! Thank you for this! As an artist it is really hard to decide where to go with your career. But you are truly inspiring! Meagan, your true story is really going to inspire many of us. And your honesty is admirable. Your experience says that we should follow our dreams. Good for you. Follow your dreams and never let anyone tell you that you cannot do something or are not good enough. I recently quit my job to travel America and I am loving it! Come travel with me! What an amazing journey that you've experienced so far! It is indeed so strange to be the captain of your own ship when you work for yourself. It's a journey I'm just beginning and it's both thrilling and terrifying :) Keep up the awesome work in the 'wild west'!